When I initially started off making short videos with my clips to share with friends and family via YouTube, I quickly found I didn't have as much control as I would have liked over my video because I was using popular music. Please note that this is an anecdotal recollection of my past decisions and should no way be interpreted as legal advice. So here is what used to happen to me ; I'd catch some footage, usually at the local ski resort, and want to share that with some friends and family in other parts of the country and the world, so the logical step was to put it on YouTube, the place to share your videos. - Great - I found music I like, edit my video to it, put my effort in, have a product I was proud of and want to share, and then the people I'd try to share it with can't watch it because of restrictions placed upon the video decided by the music licensing company (like Sony, BMI, Warner, etc) due to my choice of song. It's not that easy to share with people when you're not even sure what restrictions a song will have until its uploaded which also creates an unnecessary step in the process of editing a video - finding something I can suitably share on YouTube. Thats where creative commons content came in. You've probably heard me mention the creative commons, most recently I announced I released 100 of my own photos into the creative commons landscape. So pertaining to music, it works much the same way as my photo 'deposit' did. Artists choose their works to be shared, place them in libraries that are known to organize creative common works, assign it a specific license, and away they go. Their work is now well on its way to being seen, used and shared, all the while driving traffic back to them - as everything but Public Domain licenses require attribution to the original author. Originally I found dig.ccmixter.org in my search for easier to use music in my personal projects. I'd be stupid and offensive to say any depository of free assets isn't a good thing, but it's just that I didn't find the variety I was really hoping for there. Regardless - I used it for a while with some success - That is, until I stumbled upon the Free Music Archive at www.freemusicarchive.org . A thriving community of artists all sharing a variety of work from as wide a variety of genres. The free music archive is now my first, and usually only stop when I am trying to find a new track to use for a video. It allows you to search specifically by the genre, bpm, length, and my favourite - the license its available under. I personally have a lot of success finding amazing music that is available under the Creative Commons by Attribution License. There are many creative commons licenses, and you should fully understand the terms of the license before you use anything governed by it, but the "Attribution" license it typically the easiest to work with - all the licensor generally asks for is that you in some way include an attribution and information regarding the part their work played in your project. As the license you're searching under becomes more strict, you can often find a more diverse selection of music. 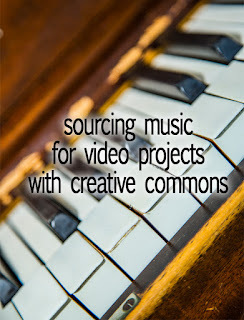 In addition to the Creative Commons licenses, there is also a public domain license you can search under, but that typically nets classical music like The Nutcracker, Fur Elise, and other very well known pieces - not a bad thing, but its not going to be the 'new music' I'm usually looking for. The benefit to public domain works is that no attribution is even necessary, so if you're project can't handle an extra by-line and the other license requirements - well then it may be the license for you. So thats how I source my music for short videos I like to share to YouTube. Occasionally I get a content copyright warning on YouTube - it's an automated system after all - but provided you've done due diligence in your use of the music, all you need to do is state your case and make sure all required elements are in their place, and the YouTube copy infringement warning should be quickly resolved. If you watch some of my YouTube videos you'll find more than a handful of tracks by Josh Woodward - great guitar instrumental music, I've recently discovered a Kai Engel who's music I used for my recent Microstock Footage video and has a bunch of other excellent tracks just waiting to be used - and just today I discovered Elysian Bailey and his 4 tracks - all of which are begging to be used in something. So until next time! Thanks for reading. Remember to support the growing creative commons community and it's library by respecting the work all of the authors have shared and I hope you find something really awesome there. 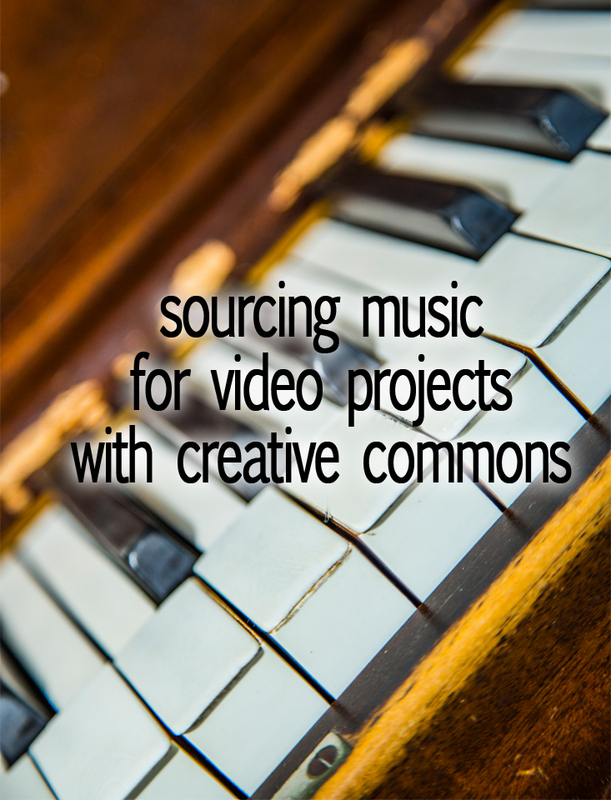 This is an story of how I came to use music available under creative commons licenses in my short videos. I only share what I have done, and should in no way be interpreted as advice, legal or otherwise for anyone regardless of any similarities in your situations.